With around 90% of all European Christmas presents manufactured in China or nearby we must wonder what to live on in the future. I would say not manufacturing Christmas presents. Notice these 2005 visitor numbers from Louvre: 3.5% Japanese visitors but 4% Chinese! By the way France and Spain are the two most visited countries in the world. I have read numbers of 50 and 40 million tourists per year respectively. PS. 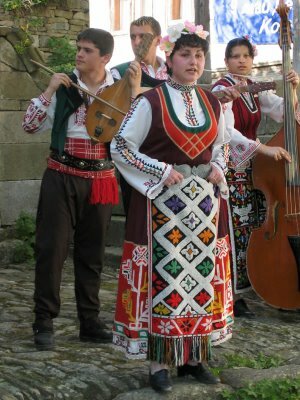 Dear fellow Europeans: We must now all acquire national costumes and use them daily to be as picturesque as possible!